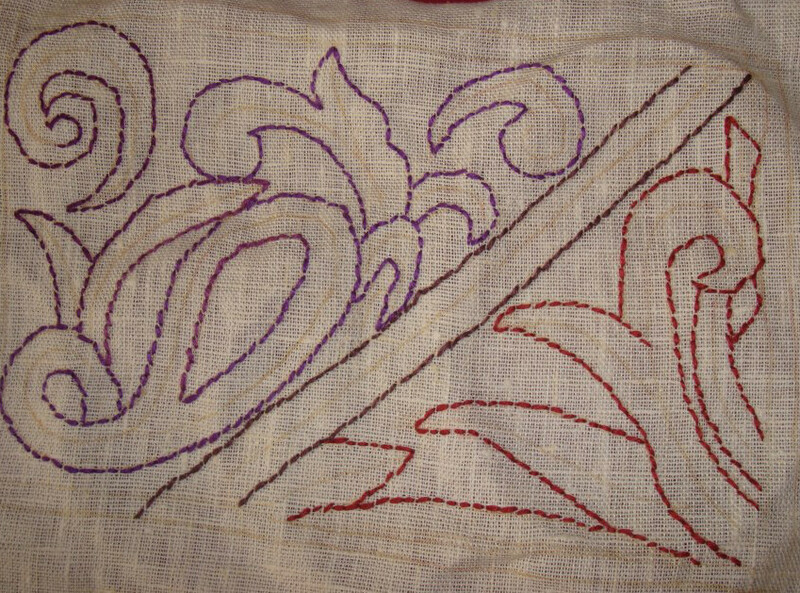 The working of this stitch with very long name is on SharonB ‘s blog. 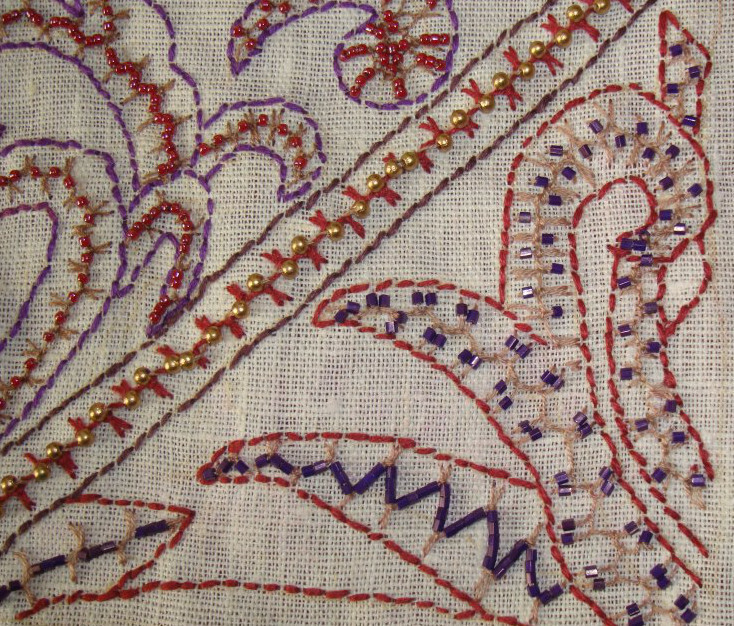 I chose to work this between two back stitch rows on a traditional Indian pattern. This is a part of a border. The beads are in the middle and on one side. 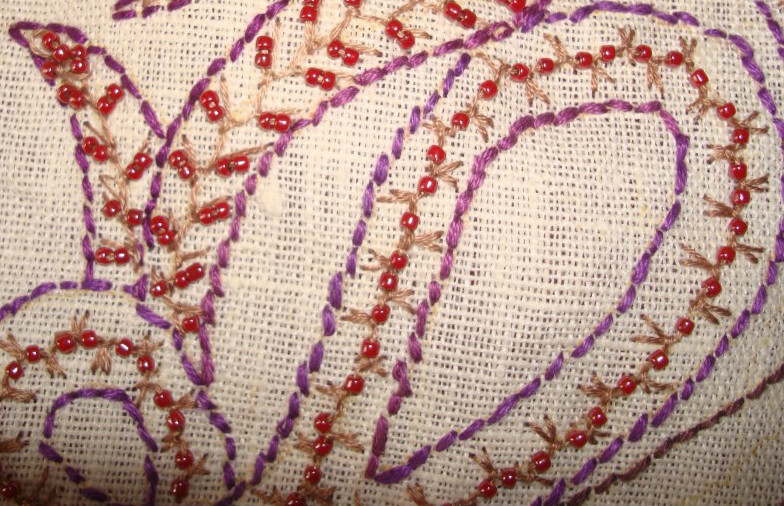 The beads are worked on both sides. 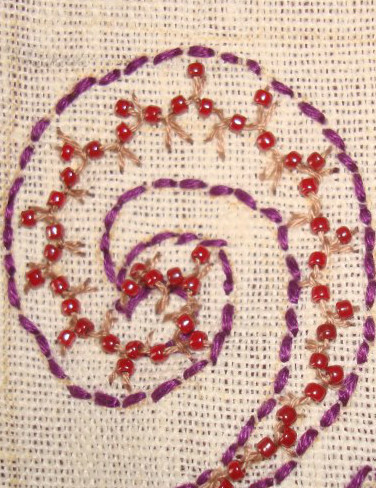 The stitch worked with two beads. 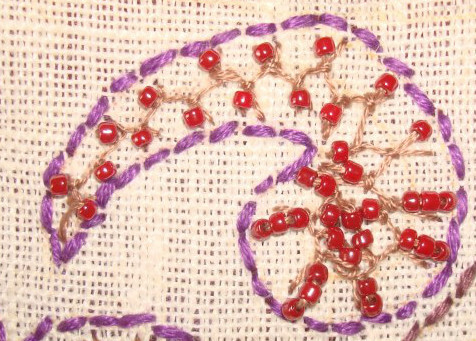 The basic beaded version shown by SharonB and with two beads on both sides. 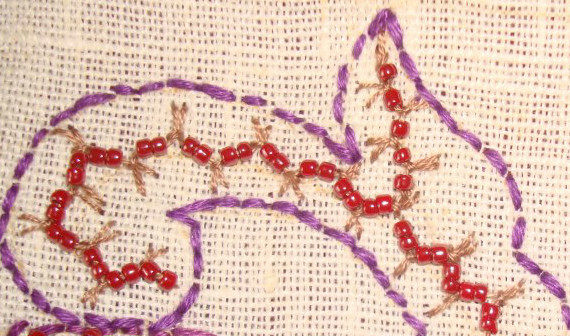 The beaded alternating up and down buttonhole stitches. Thinking of working some freeform embroidery to fill the spaces.